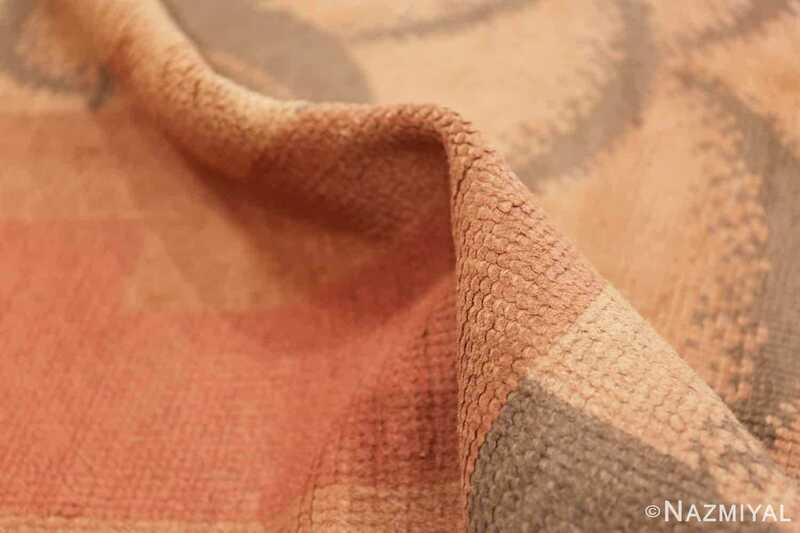 This French carpet beautifully captures the spirit of the Art Deco style, especially in the stately rectilinear figures of contrasting shades of red that adorn the upper and lower portion of the carpet. 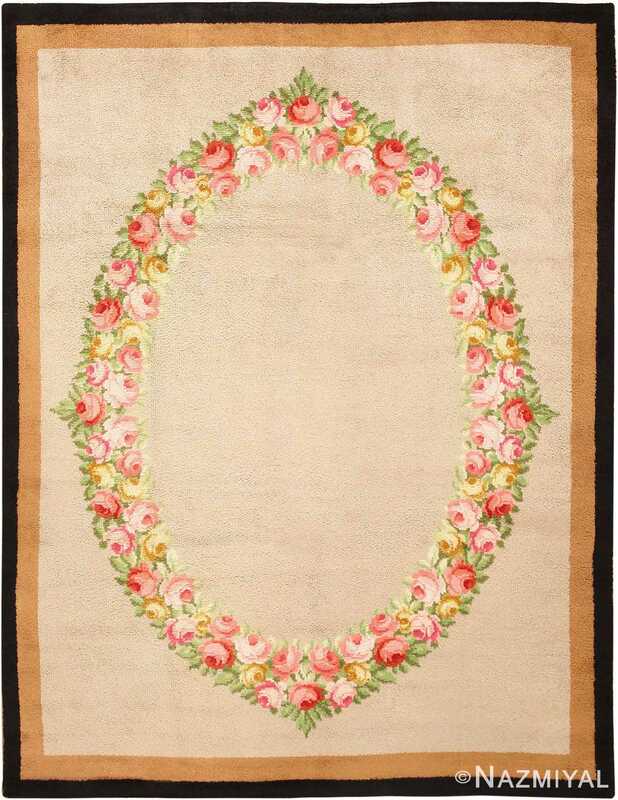 Vintage French Deco Rug, Origin: France, Circa: Mid-20th Century – Here is a beautiful rug – a French Art Deco composition, woven in the height of that erstwhile style. 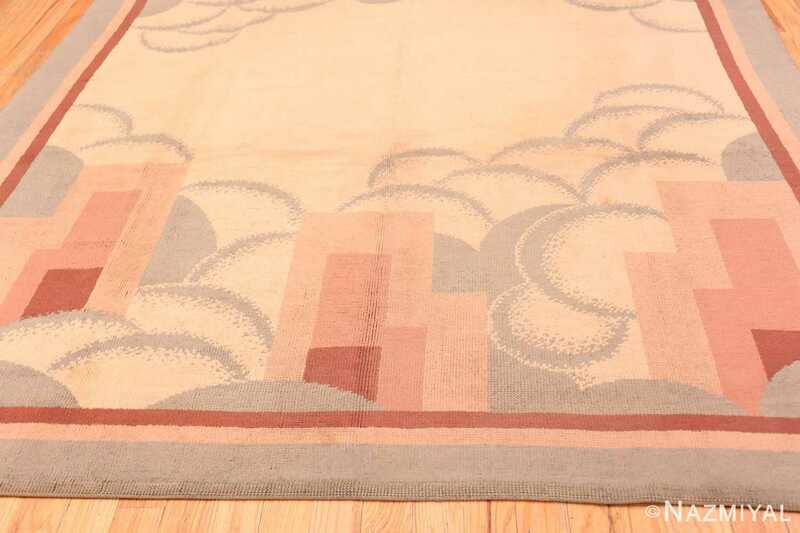 Art Deco was a highly influential design style with its origins in 1920’s France. Over the following decades, leading up to the Second World War, Art Deco enjoyed enormous popularity, and was widely accepted as the appropriate design style for the time period by contemporaries, who admired it for its incorporation of machine age imagery and aesthetics. 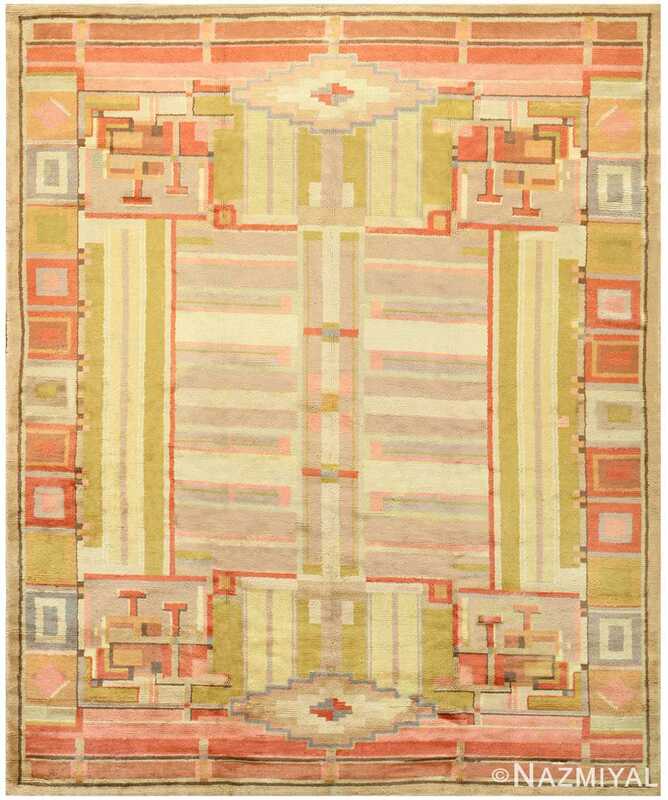 A distinctly modern style, Art Deco emphasizes geometric figures, elaborate detail work and ornamentation, and bold, assertive colors. 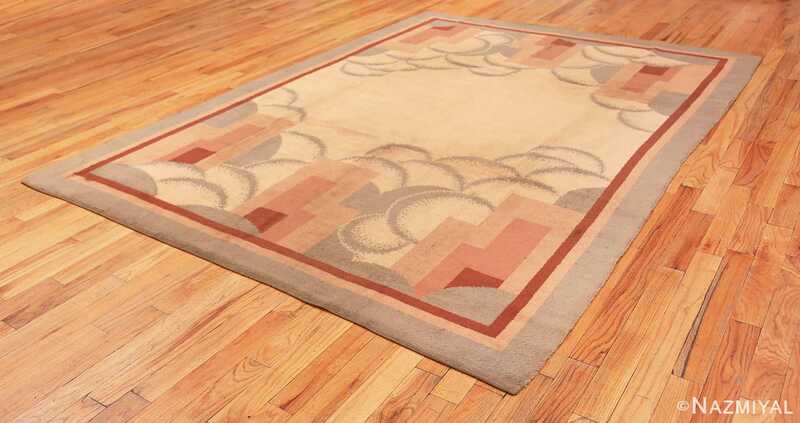 This particular French rug beautifully captures the spirit of the Art Deco style, especially in the stately rectilinear figures of contrasting shades of red that adorn the upper and lower portion of the carpet. 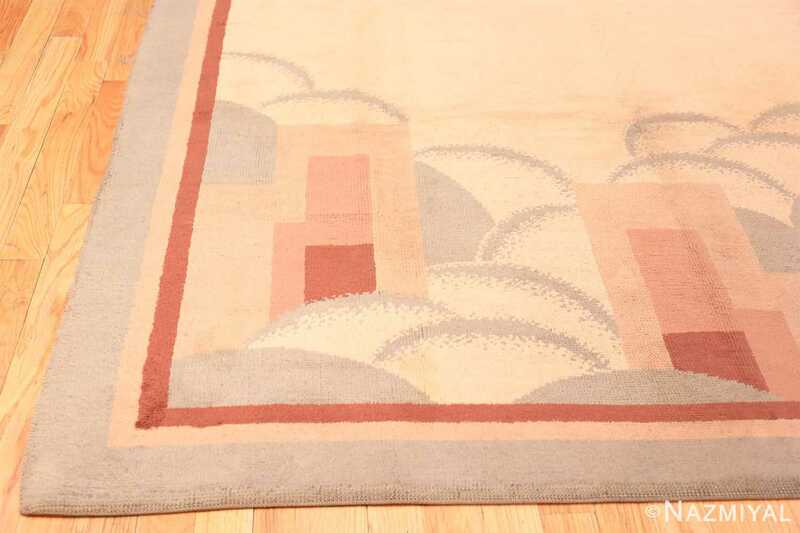 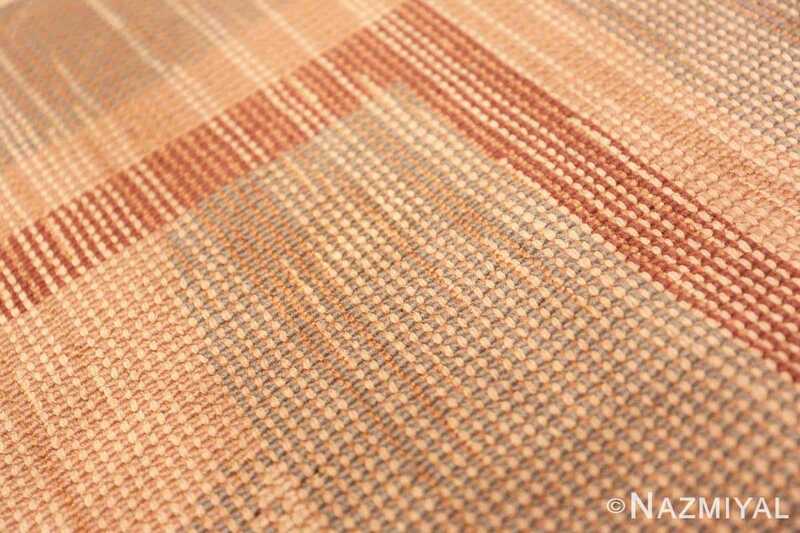 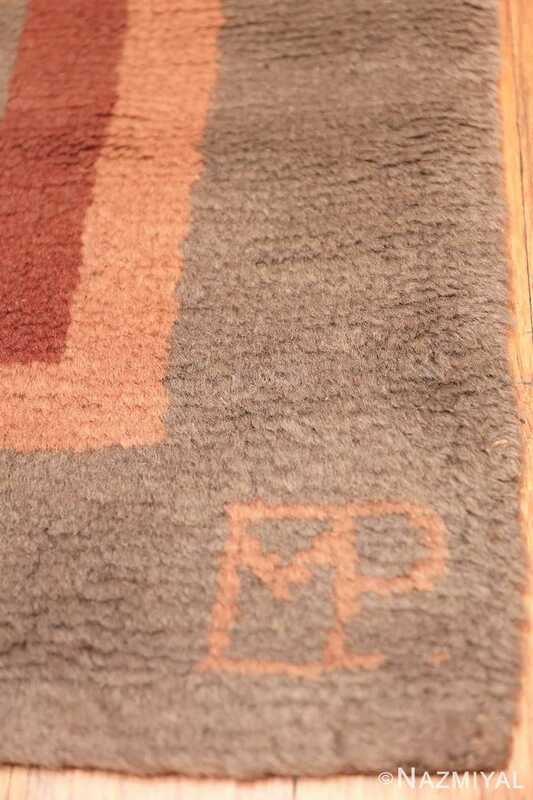 Appearing as the tops of skyscrapers poking above the clouds, these figures underscore the design of this carpet, which elegantly articulates the Art Deco emphasis on the modern and the new. 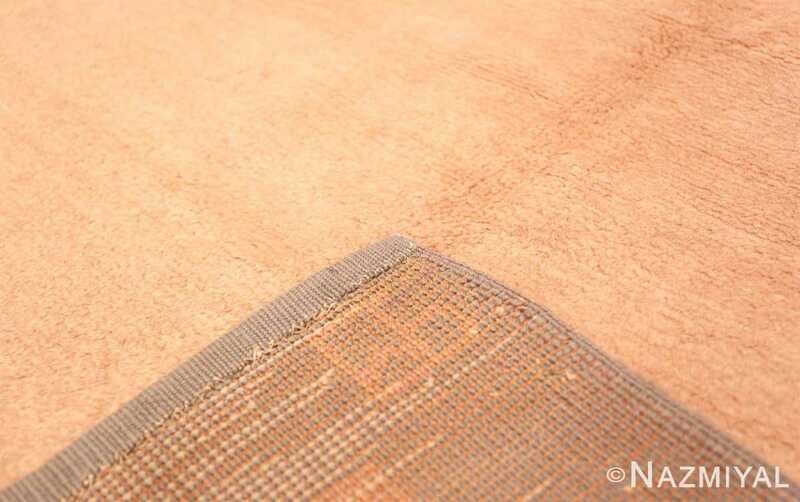 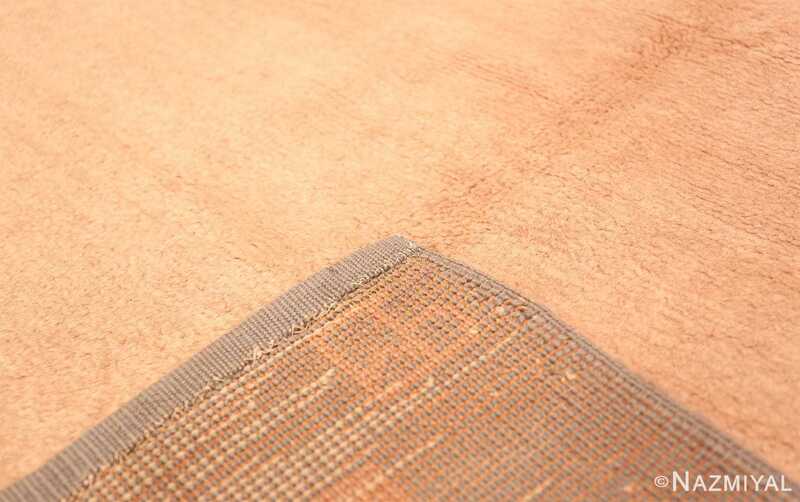 Simple and bold at the same time, the decoration in this carpet is intriguing and beautifully rendered. 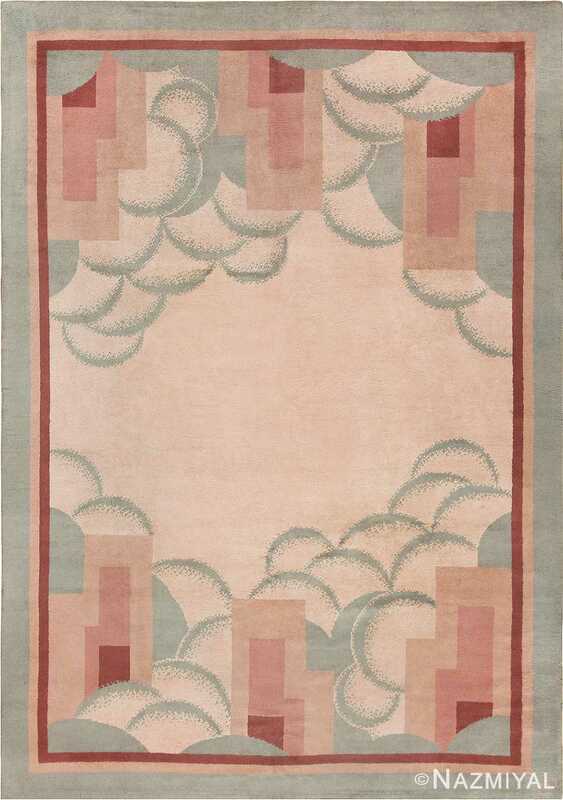 Unique and exciting, this charming composition espouses some of the more important aesthetic styles to have emerged during the Art Deco period.